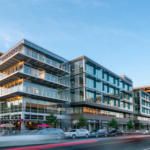 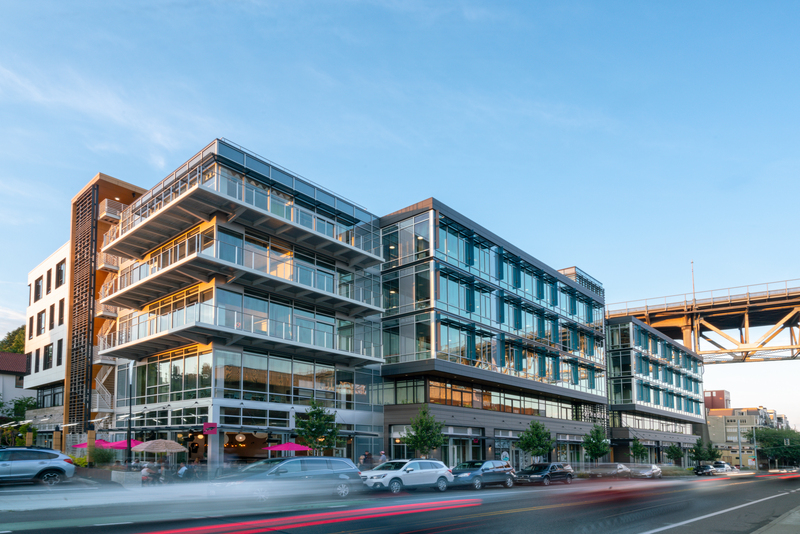 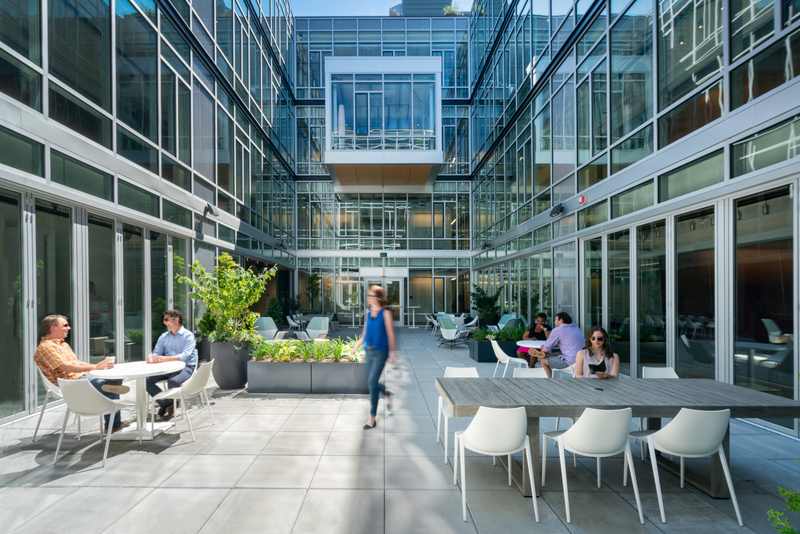 A number of massing strategies contribute to improved energy performance, including a central courtyard, an interior and exterior feature stair, and tuned facades with punched openings toward the north and full glass with horizontal and vertical shades toward the south. 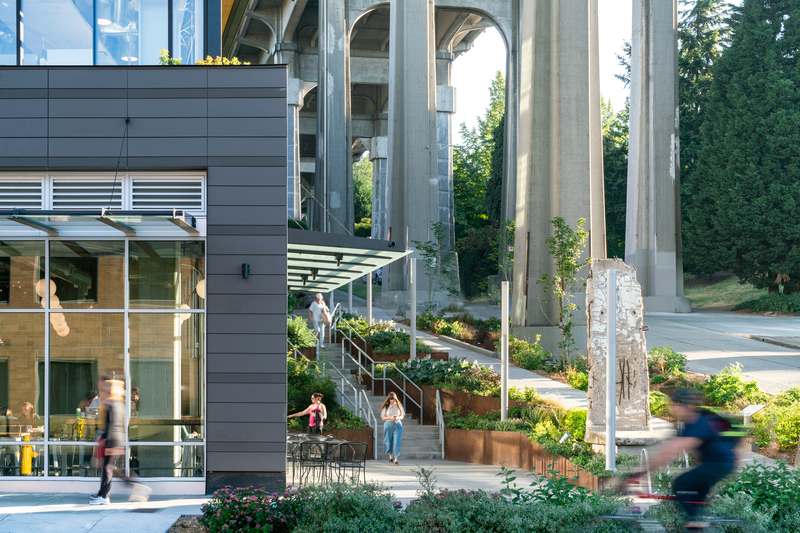 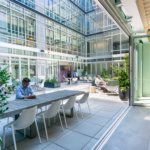 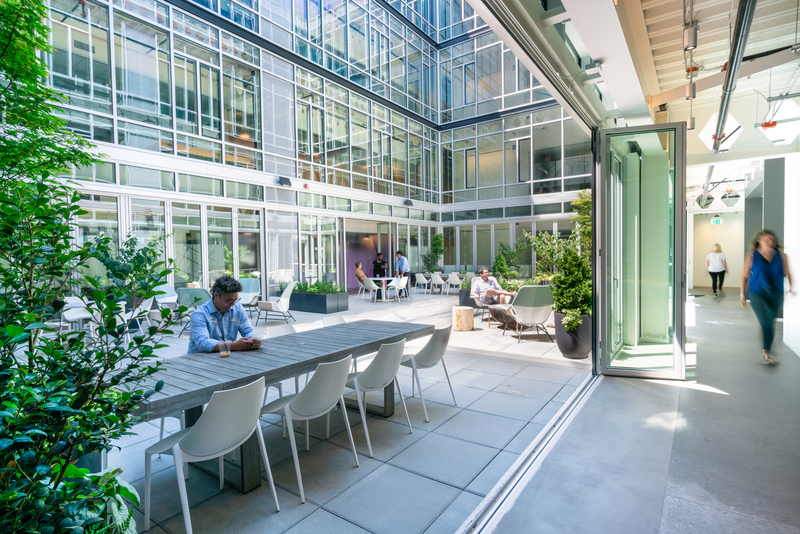 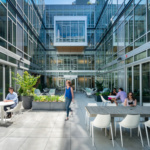 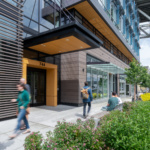 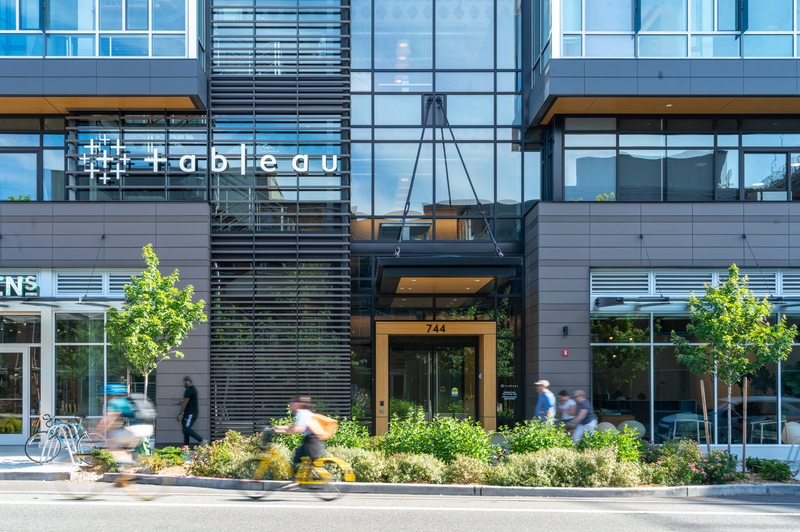 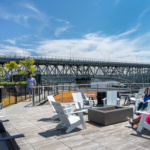 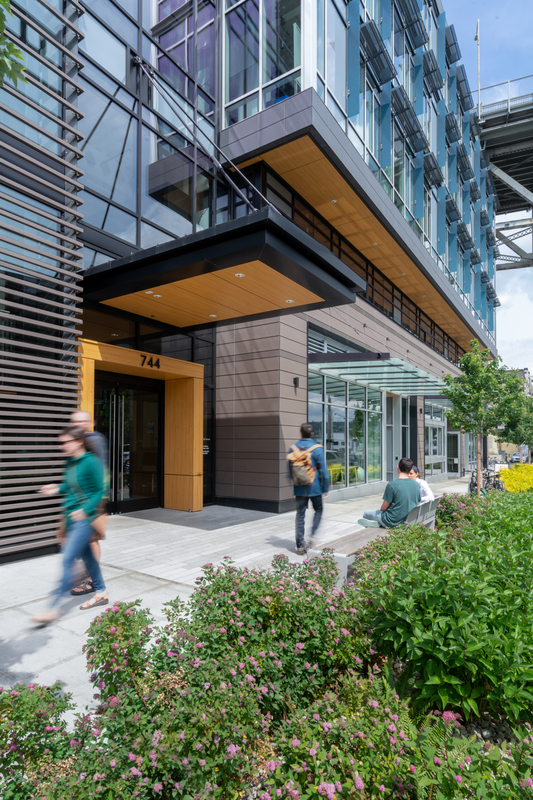 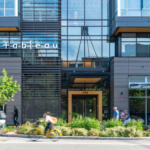 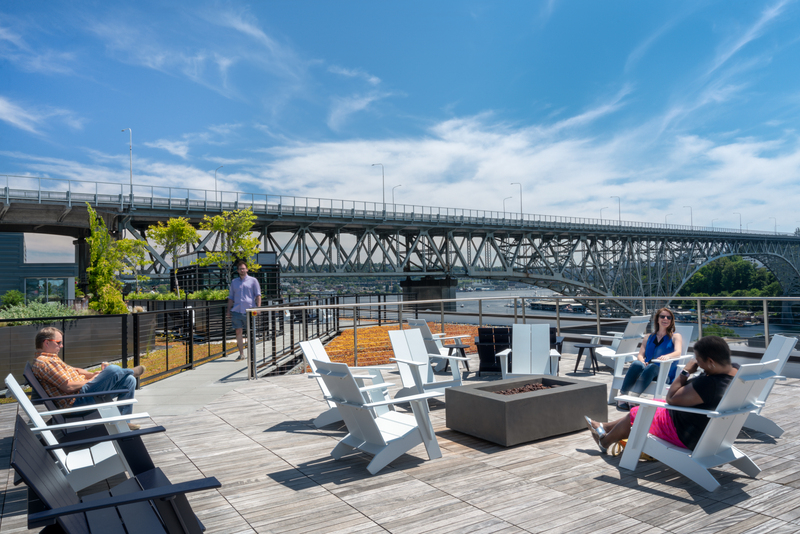 The courtyard provides private work and gathering space for the technology office tenant, Tableau, while providing significant daylight autonomy to the office work areas on floors above. 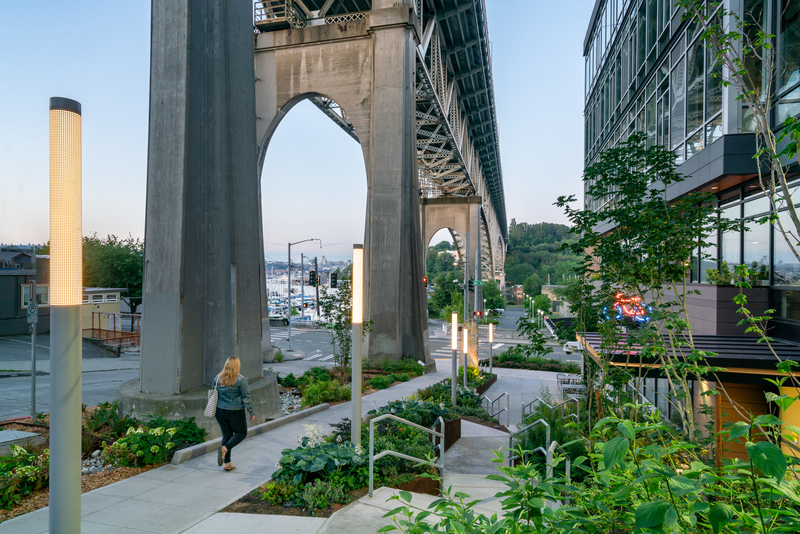 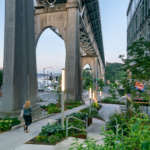 The Aurora Bridge, adjacent to the project, and with drainage to a major salmon spawning route, was tested and found to be more toxic than any other highway bridges in Washington and California. 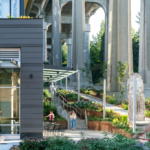 The solution to the toxic runoff was a unique system of planted, stepped bioretention cells below the bridge that treat the water before returning it to the storm sewer. 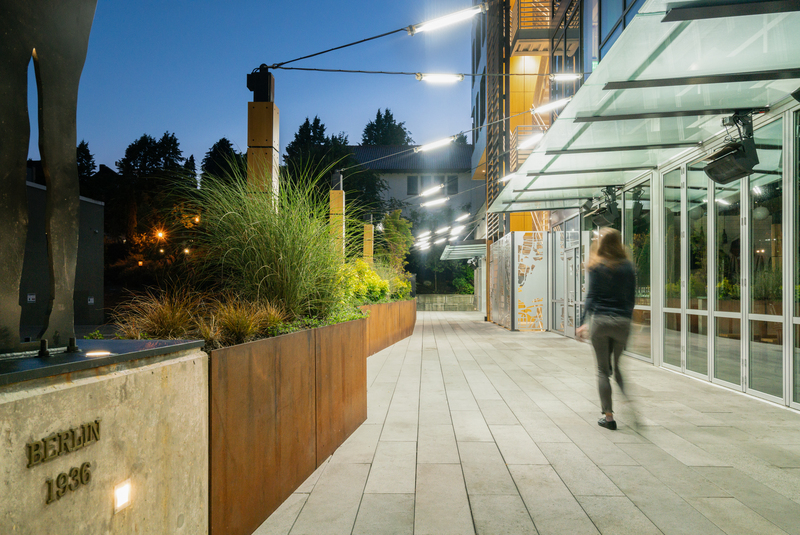 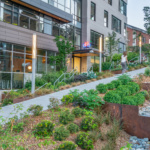 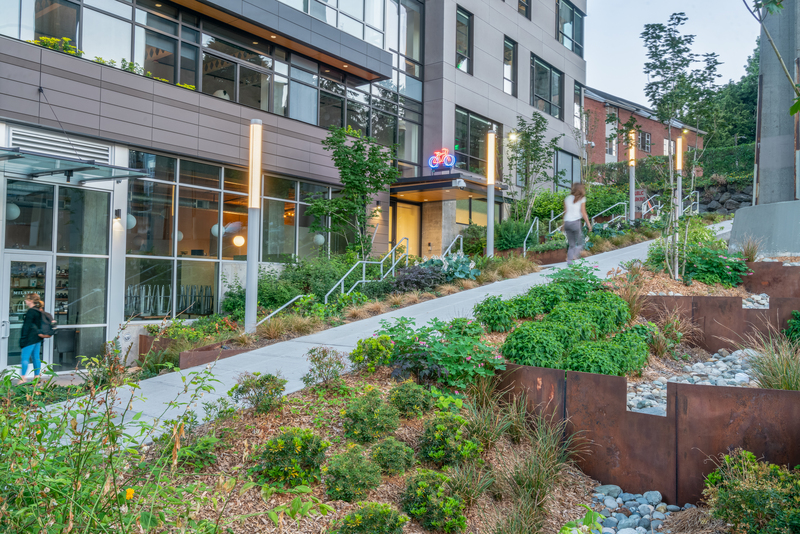 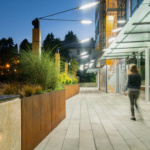 Further onsite stormwater mitigation is provided in bioswales along the sidewalk at the main building frontage, and in green roof on top of the building. 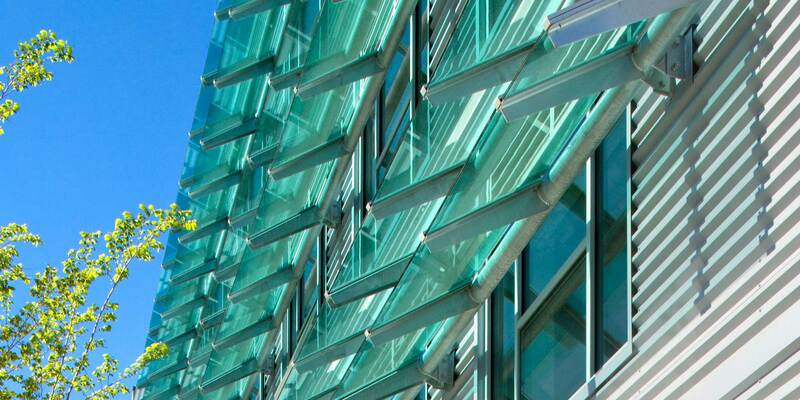 On the south façade, the horizontal metal shades reduce heat gain in the summer months, while translucent blue glass vertical shade fins help with morning and afternoon glare. 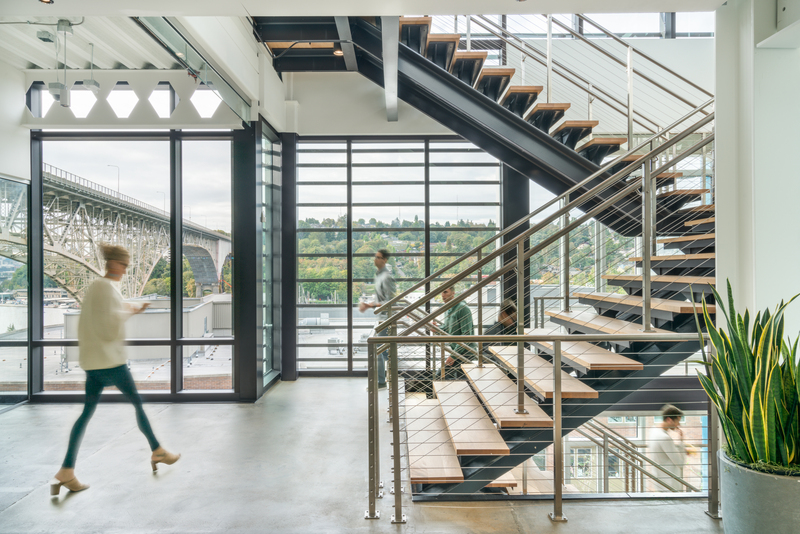 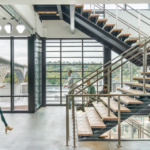 An interior feature stair with open maple treads, large landings, and lighting encourages occupants away from the elevator – reducing electricity use and burning calories – while increasing chance encounters and conversations.